Paul White, left, interviews former Whittier Mayor Monte Wicker during the Whittier Host Lions Club meeting on July 25, 2013, at the American Red Cross building on Washington Avenue. Wicker, 96, was feted for his longevity and his community involvement. 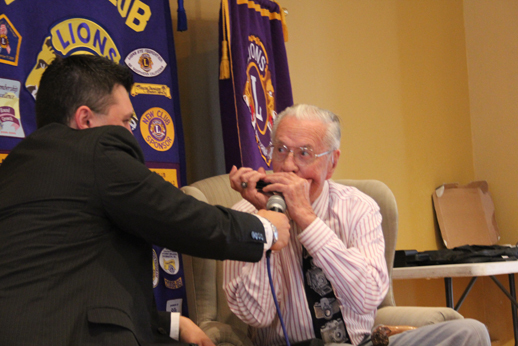 His harmonica playing brought the packed house down. 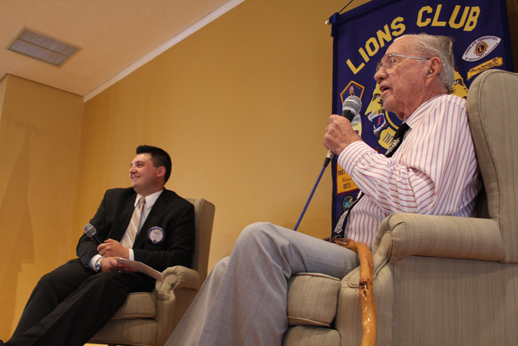 Paul White, left, interviews former Whittier Mayor Monte Wicker during the Whittier Host Lions Club meeting on July 25, 2013, at the American Red Cross building on Washington Ave. Wicker, 96, was feted for his longevity and his community involvement. His harmonica playing brought the packed house down. 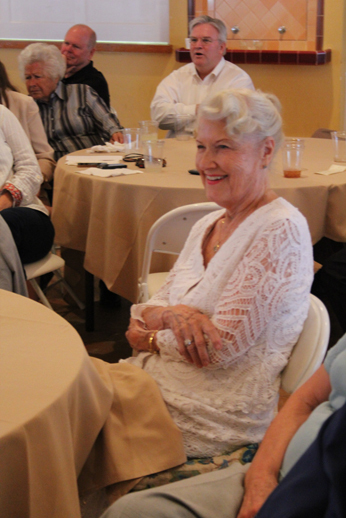 Harris watches as life partner Monte Wicker pleases the crowd at the Whittier Host Lions Club meeting on Thursday, July 25, 2013, at the American Red Cross building in Whittier. 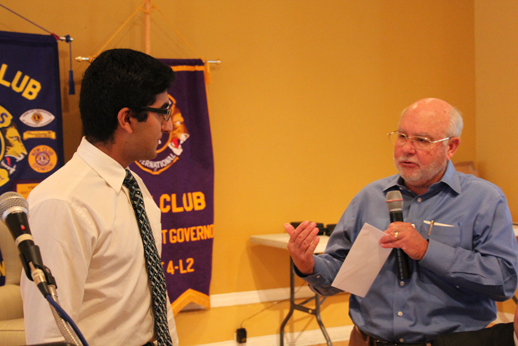 Ganeeve Sangh, 18, a recent graduate of Whittier High School, gets the first Mac and Carolyn McFarland Scholarship from Mac McFarland on July 25, 2013 during the Whittier Host Lions Club meeting at the American Red Cross building on Washington Avenue. Sangh plans to become a doctor. The club gave more than $19,000 to 11 youths. "Sangh was the top of all the high school candidates," McFarland said. 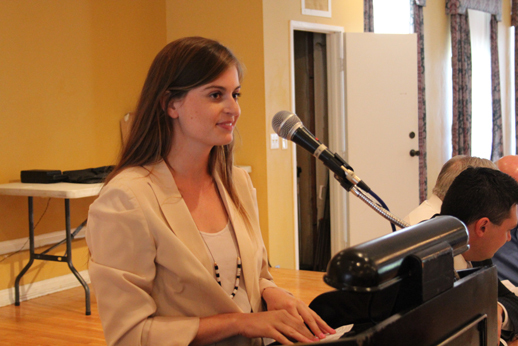 Katie Martorano received her first scholarship award from the Whittier Host Lions Club in 2010. Now she collects her latest award from the club on Thursday, July 25, 2013. "We're trying to convey the message that if you stay in touch with us, we'll continue to help you out," said Lions scholarship chairman Vince Daigneault. "I promise to keep in touch with you guys so I can watch you grow even older," Martorano joked. 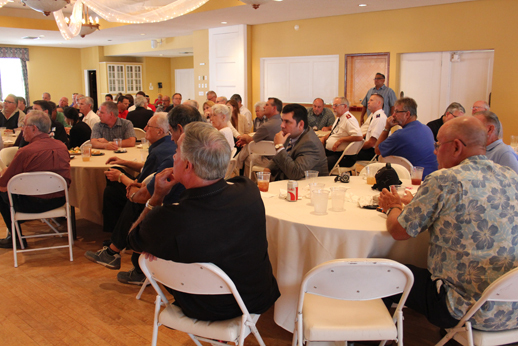 The club recently gave more than $19,000 to 11 recipients. A packed house listens to longtime Whittier Host Lions Club member Monte Wicker, 96, on Thursday, July 25, 2013 at the American Red Cross building on Washington Avenue. Wicker's father was a founding member of the club back in 1922.